Coffee? Donut? Hippest New Club? We were recently invited to check out a ‘new’ space for possible events. The invite came via an email, and when we rsvp’d we received a ‘password.’ We were perplexed but filed the information away until the day we ventured downtown for the event. 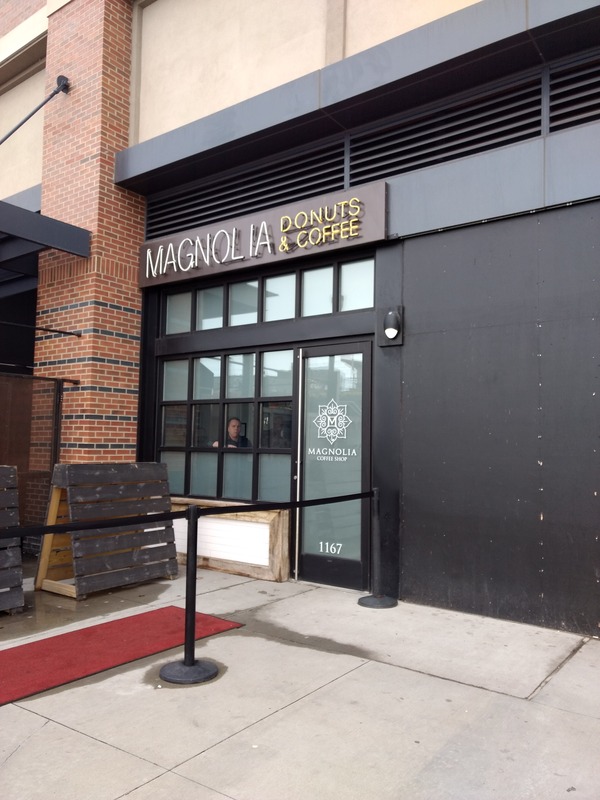 As we parked across from Magnolia we immediately noticed two things… 1) the size of the ‘storefront’ was very small compared to surrounding buildings 2) the sign said Magnolia Coffee & Donuts.